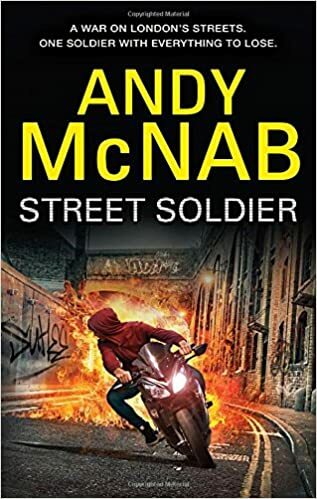 The first instalment of the STREET SOLDIER serialization: an action-packed new thriller from the bestselling author of BRAVO TWO ZERO. Sean Harker is good at two things: nicking cars and fighting. One makes him money; the other makes him enemies. It’s all part of life, ruling the streets in one of north London’s toughest gangs. But when a car heist goes wrong and Sean ends up in a Young Offender’s Institution, he’s suddenly on his own – and faced with the biggest decision of his life. Well there is certainly honour amongst thieves where Sean Harker is concerned as he takes one for the gang he runs with when he is willing to go to a juvenile detention centre rather than grass on his mates. Well some people are lucky enough to get a second chance in life. I felt that Sean was going to get his only chance offered to him in his life while serving his time as at 17 he was far older than the birthdays he’d already had, he had seen too much and done too much. Sean Harker is such an easy character to root for. He is very likeable as although street wise there is still a vulnerability about him that makes you want him to turn his life around. I really enjoyed the story which I felt was action packed from the start with a plot that just got more gripping as it went along. A brilliant YA novel that is totally inspirational. I wish to thank Netgalley and Penguin Random House for this arc copy which I have chosen to review. From the day he was found in a carrier bag on the steps of Guy’s Hospital in London, Andy McNab has led an extraordinary life. As a teenage delinquent, Andy McNab kicked against society. As a young soldier he waged war against the IRA in the streets and fields of South Armagh. As a member of 22 SAS he was at the centre of covert operations for nine years – on five continents. During the Gulf War he commanded Bravo Two Zero, a patrol that, in the words of his commanding officer, ‘will remain in regimental history for ever’. Awarded both the Distinguished Conduct Medal (DCM) and Military Medal (MM) during his military career, McNab was the British Army’s most highly decorated serving soldier when he finally left the SAS. I’d never read any of his books before but I really enjoyed this one. I’ll try and catch up with some of his previous ones too.